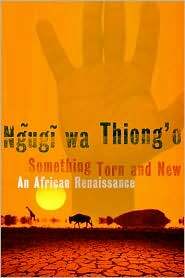 Toward an African Renaissance: A Review of Ngugi wa Thiong’o’s Something Torn and New. New York. Basic Civitas Books, 2009, 162 pp. Ngugi’s 172-page nonfictional text traces the trajectory of the post-Berlin fragmentation of Africa and its aftermath. A quest for Africa’s Renaissance or Rebirth is the thread that holds the narrative intact in this thought-provoking book. Ngugi posits that colonialism conditioned Africans to live in a state of collective amnesia, or memory loss, characterized by a split personhood. As he puts it: “This contact is characterized by dismemberment. An act of absolute social engineering…” (5). African Renaissance harbors “the central idea of rebirth and the spring of a new vision of being” (88). Re-membering Africa is the only way of ensuring that Africa extricates herself from the dark ages into it was plunged by European colonization. The continent’s fragmentation was simultaneously the foundation, fuel, and consequence of Europe’s capitalist economy. African slaves, the main commodity in the merchantile phase of capitalism, formed the mainstay of the sugar, cotton, and tobacco plantations in the Caribbean and American mainland. Ngugi observes that Africa’s relationship to the West has always been that of donor. Africa has sacrificed her human capital, natural resources, and languages/cultures to the West. The impact of colonialism on the African continent was manifestly deleterious, but the worst harm caused to the African personality is the phenomenon that Ngugi labels “linguiscide”, the linguistic equivalent of genocide (17). While genocide involves deliberate acts of physical elimination or massacre, the concept of linguicide is centered on conscious acts of language liquidation. Referring to the work of Skutnabb-Kanga, Ngugi observes that linguicide presupposes the existence of agents responsible for the demise of languages. Conscious of the critical role languages play in the conception of selfhood and otherness, he is dismayed at the little effort made by African writers to in write in their indigenous languages. In his own words, the situation has resulted in linguifam—linguistic starvation (19). Whereas Africa boasted robust languages prior to the advent of colonizers, today, contact with Europe has turned the continent’s linguistic communities into “graveyards over which now lie European linguistic plantations” (19). To reverse this trend, Ngugi argues in favor of an African restoration project (125), because for him, the salvaging of African languages and cultures is an inevitable step toward the restoration of Africa’s holistic selfhood. Restoration would mean translating European literatures and Europhone African intellectual productions into African indigenous languages. African languages must not remain isolated from the mainstream of progressive human thought expressed in global languages. Ngugi calls upon all African literati to heed the call of South African Africanist, Vilakazi, who sends a clarion call to all Africans to employ their languages as vehicles for “thought, feeling and will”(124). Like Cheikh Anta Diop (1974), Vilakazi is not underestimating the contributions of those Africans who have opted to use European languages to express their thoughts. What he desires is that these works must be retrieved and returned to the African languages and cultures that inspired them in the first place. In Ngugi’s opinion, the task of restoration should constitute the bedrock of Africa’s Renaissance Project. Something Torn and New is his blueprint for an accomplishable African Renaissance. He re-assures his detractors that what he is advocating is not new: “This process has already started. Some of Wole Soyinka’s plays have been translated into Yoruba. Many works by Europhone African writers have been translated into Kiswahili, and in this respect Henry Chakava of the East African Education Publishers has led the way”(126). The success of the African Restoration Project would depend on the commitment and creative partnership among African writers, translators and publishers. Ngugi believes that the existence of a grand alliance of publishers, translators, financiers and governments” (126) is the sine qua non of the African Renaissance Project. The participation of diasporic African communities in the Project is an absolute necessity as Ngugi underscores the need for Diasporic Africans to learn an African language in a bid to enrich their cultural arsenal. They should tap from their African memory by making efforts to learn African languages to add to, not replace, the languages they already speak. In doing so, Africans in the diaspora would be connecting themselves to the memory base that has sustained them in their struggles in a world that constantly puts myriads of hurdles in their way. Ngugi lauds the efforts of African writers who even in exile have continued to write in their native tongues. South African poet, Mazisi Kunene, is a case in point. During his life time, he persisted in writing poetry in Zulu, tracing “his literary ancestry…to the imbongi (oral poets) of the Shaka court in the nineteenth century” (90-1). Another proponent of African Renaissance to which Ngugi makes reference is S.E.K Mqhayi. Practicing what he preached in theory, he wrote in IsiXhosa, generating what some intellectuals have christened renaissance. In Ngugi’s own words, they praised him for standing up “for our language and by pen and word of mouth created a Renaissance in our literature” (91). The nagging question that begs to be asked at this juncture is whether Ngugi, author of Something Torn and New, practices what he advocates in theory. In his seminal work, Decolonizing the Mind: the Politics of Language in African Literature (1986), he argues over and over again that to qualify as African, African literature has to be written in indigenous languages. As he puts it, “Literature written by Africans in European languages… can only be termed Afro-European literature; that is, the literature written by Africans in European languages” (Decolonising, 27). He describes his return to African languages in his fictional writing as “a quest for relevance” (87), noting that the use of indigenous languages in fictional writing is a liberating venture that enables Africans to see themselves clearly in relationship to themselves and to other selves in the universe. Thus, Ngugi’s rhetoric broaches the most urgent problematic of postcolonial African writing: the issue of how language (medium) becomes the message in a work of literature. 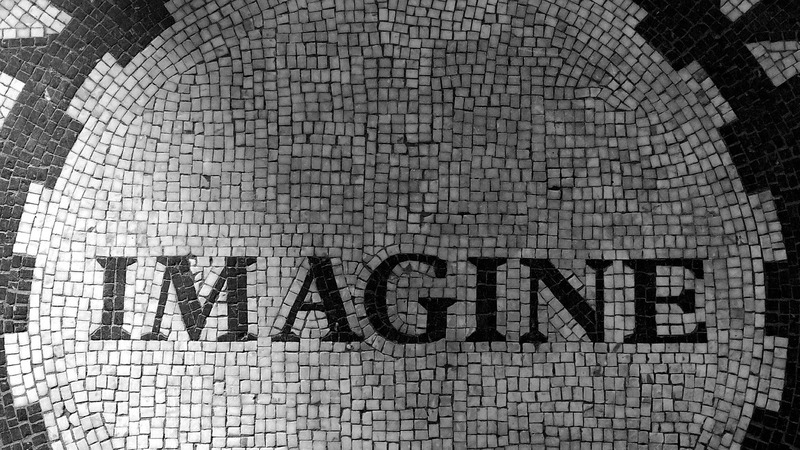 It is a logocentric approach that puts a premium on words and language as the fundamental expression of external reality. It hard to not see the contradictions inherent in Ngugi’s arguments in favor of the unassailable position of indigenous languages in African literature. I think the most important aspect of this contradiction is Ngugi’s decision to translate his books originally written in his mother tongue, Gikuyu, into the English language for the purpose of widening his readership. His latest novel, Wizard of the Crow (2007) was written in Gikuyu and later translated into English by Ngugi himself. He is so terribly against writing in English, yet we are reading his books in English! Ngugi’s stance on language is pretty inflexible, or rather too inflexible, in this era of globalization. Decolonizing the Mind and Something Torn and New, his tools of combat are written in English! No one is dissuading African writers from using their native languages to write fiction. In fact, they should be encouraged to do so. But to bar African writers from having recourse to European languages, part of their colonial heritage, in their writing fiction, as Ngugi seems to do is not only contradictory but hypocritical. Such a stance amounts to denying Africans a portion of their past—something a colonizer would do. And anyone who continues in this path might as well abandon the written forms of African languages, since that too is something that colonizers bestowed on Africa. I doubt that Ngugi would take this suggestion favorably. It is one thing to want to preserve and perpetuate indigenous languages and cultures; it is yet another to brand the literary works of Africans as non-African simply because they opt to write in European languages. These apparent contradictions notwithstanding, Ngugi’s Something Torn and New is a seminal book that sheds ample on light on central issues relating to the African personality, not least of which is the concept of black consciousness. Using the technique of intertextuality, he alludes to Steve Biko’s invigorating message in I Write What I Want (1986), Black Consciousness (1978), and Peter Abraham’s Tell Freedom (1981) as springboards to underscore the need for Africans to take cognizance of their unique selfhood, not for the purpose of estranging themselves from the community of humans but to accentuate their singular contributions to global memory. The pedagogical value of Something Torn and New resides in its suitability to the young and the old. The language is clear and free of sophistry. Students and researchers with an interest in African history, languages and cultures would find the text a priceless tool. Peter Wuteh Vakunta was born and raised in the village of Bamunka-Ndop in Cameroon where he worked as senior translator at the Presidency of the Republic before immigrating to America. He is an alumnus of Sacred Heart College-Mankon. Vakunta obtained his Bachelor degrees in Cameroon and Nigeria; MA and MSE degrees in Cameroon and the U.S.A. At present, Vakunta and his family live in Madison, U.S.A. He teaches in the Department of French and Italian at the University of Wisconsin-Madison where he is also completing his PhD dissertation titled: Translation in Literature: Indigenization in the Francophone Text. Vakunta is poet, storyteller and essayist. His published works include Better English: Mind Your P's and Q's, Lion Man and Other Stories (short stories), Brainwaves (poems), Pandora's Box (poems). African Time and Pidgin Verses (poems), Square Pegs in Round Holes (essays) and It Takes Guts (essays). Vakunta's literary works have earned him several awards in the U.S.A, U.K and Africa.